Our friends arrived dressed as Olaf, a Princess and a Superhero and we had spare costumes for those without their own. Baby J wore his superhero leggings and a Batman top. Little N however refused to wear any of his fantastic costumes for the party and threw the mother of all tantrums! The kids all had a blast though and I’m sure Little N and friends will get lots of enjoyment out of their ASDA fancy dress outfits, especially with Halloween fast approaching! Do your children like dressing up? What is their favourite fancy dress outfit? Disclosure: ASDA provided us with our fancy dress costumes and a voucher for our party food. It's brilliant, I absolutely love it! Great pictures, it looks like the children had a great party. Arthur will only dress as a fireman or wear a cape but he will not entertain anything else. A fireman or a cape are great choices though so I can't blame him! I'm sorry little N threw such a tantrum. I'm so glad though that even without him wanting to wear a costume, he and his friends had lots of fun! Thank you, they did have lots of fun! What a great idea....It looks and sounds like everyone had a great time!! My girls love to dress up! He's getting more into dressing up now -just not when mummy wants photos haha! What an awesome sounding party - I love those costumes as well what a great Iron Man! It is a fantastic outfit! Oh he is the best! That's such a sweet end of summer party. Love those Minion cupcakes! Thank you they had a lot of fun! Bugs & butterflies is a brilliant theme, love it! So many fab costumes! I live fancy dress parties.. so much fun for kids and adults alike!! I loved fancy dress parties as a kid. Still do actually! Fun party - we have loads of dressing up outfits and I love the idea of just randomly having a party. I love a good kids party, I need another excuse for one! 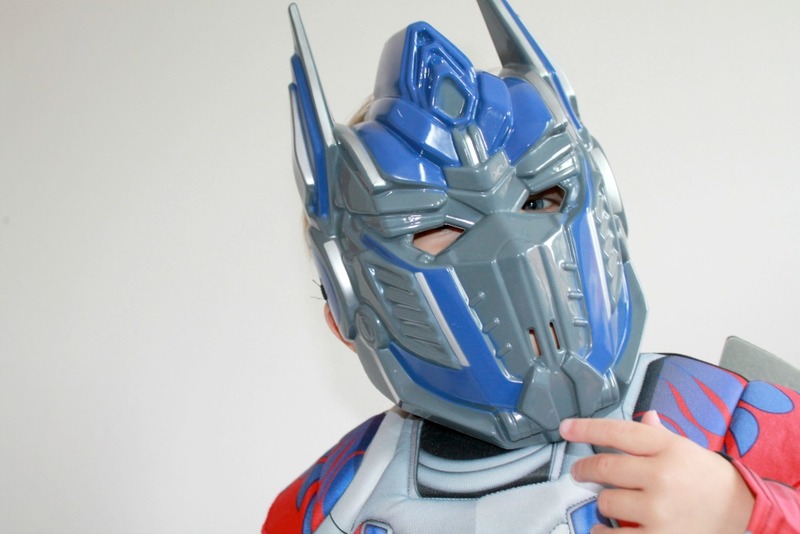 Go Optimus Prime you are one cool mother! Never too old for fancy dress!